Ann Arbor, Michigan, July 20, 2017 – Coherix, Inc., a global leader in Three-Dimensional (3D) Machine Vision, today announced officially Predator3D bead inspection solution is capable of inspecting adhesive beads on automotive glass windshields and quarter panels, which is a desirable feature for automotive manufacturers. Adhesive beads used in glass applications often have a tall cross section, steep sides, and molding next to the bead, which makes inspection difficult for conventional 3D inspection systems and virtually impossible for 2D inspection systems. 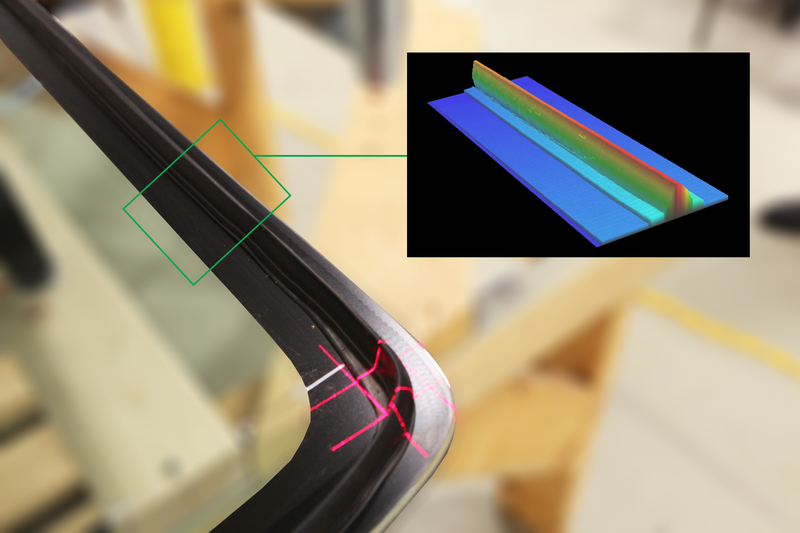 Coherix has leveraged its years of experience in 3D adhesive bead inspection to develop a proprietary software algorithm which increases the ease-of-setup and accuracy of glass adhesive inspection. This dedicated software coupled with the industry-hardened 3D inspection hardware of Predator3D provides a complete package optimized for glass adhesive inspection, including measurements of bead width, height, volume, and location. “Windshields are normally bonded to a vehicle through urethane adhesives, and the integrity of beads on the windshield is essential to prevent water leakage, which is a very customer-sensitive issue. Coherix Predator3D assures that the beads are correctly applied to the windshield, providing relief for end-users,” said Dwight Carlson, CEO of Coherix.